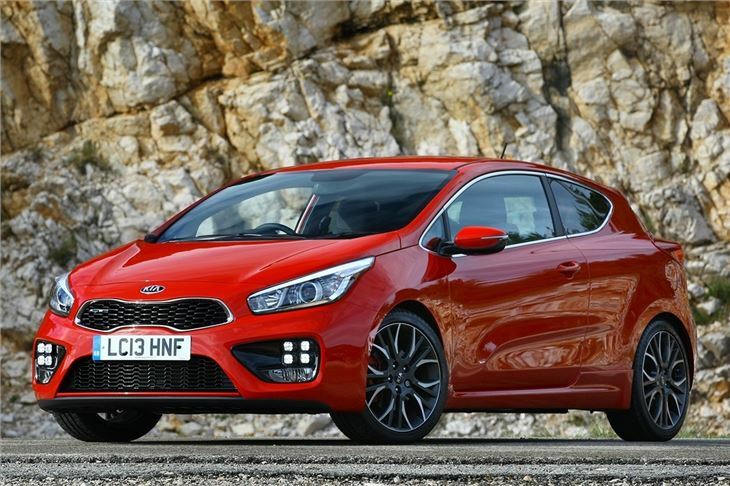 Kia is almost expected to surprise these days, if that is even possible. 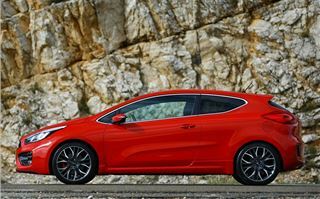 When the Korean brand started selling the simple, no-nonsense Pride in the 1990s nobody would have predicted a sleek, sporty three-door hatchback like the Pro_Cee'd GT. 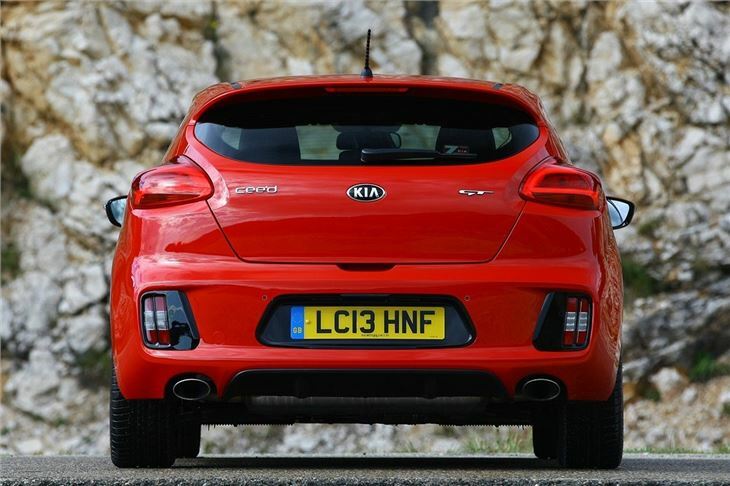 In fact if you covered up the badge most people would never guess this car was a Kia at all. The performance figures are as surprising as the looks. 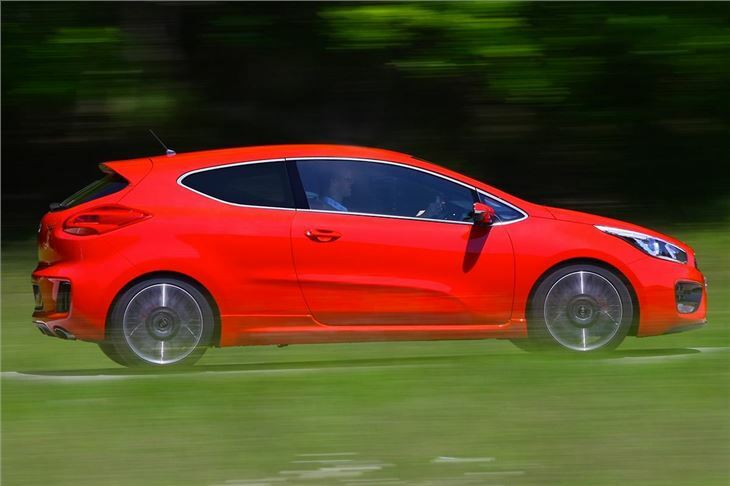 Thanks to a 204PS 1.6-litre turbocharged petrol engine, the GT can get from a standing start to 62mph 7.4 seconds. 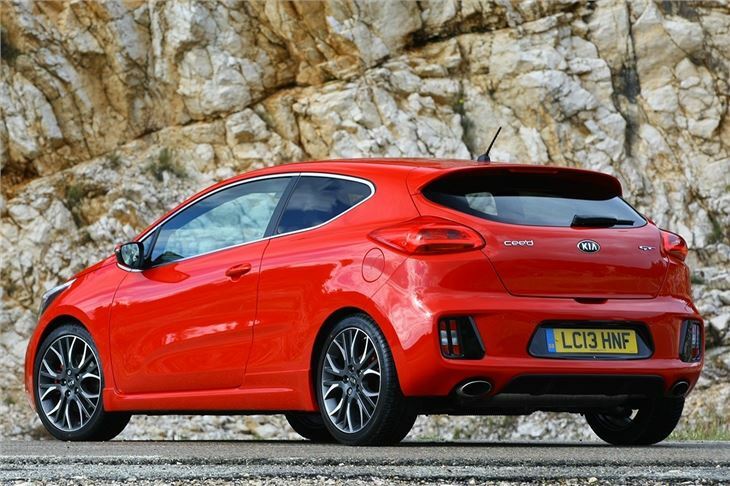 That’s not scintillating next to something like a Volkswagen Golf GTI or a SEAT Leon Cupra, but it’s not far short and still quick by anyone's standards. The engine is even more impressive when on the move, with 265Nm available from 1750rpm to 4500rpm. 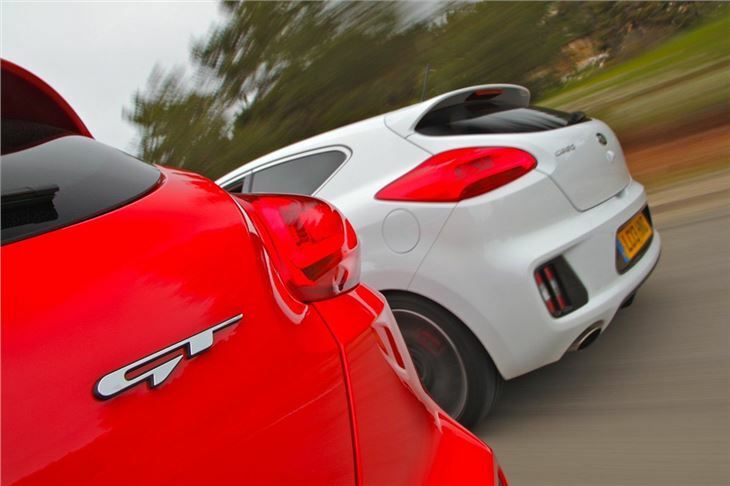 This means overtaking and accelerating out of corners is easy, regardless of which gear the car is in. Find some corners and there’s a good amount of traction on offer, plus the suspension does a decent job of balancing body control with ride comfort. 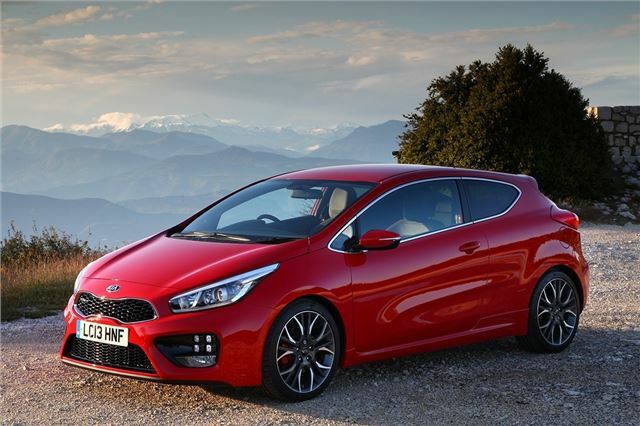 It’s really nicely suited to twisting British roads and can be a lot of fun at reasonable pace – but push on a little harder and the Pro_Cee'd GT starts to show its weaknesses. 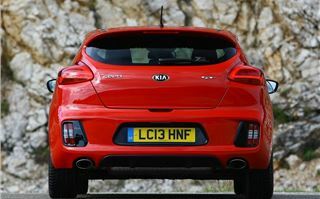 The steering lacks the weight, feedback and precision you would expect of a car with more than 200PS. 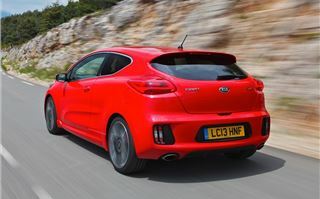 The brakes are disappointing too, lacking power unless you give the spongy pedal a real kick – and even then they don’t really work as well as you would have hoped. 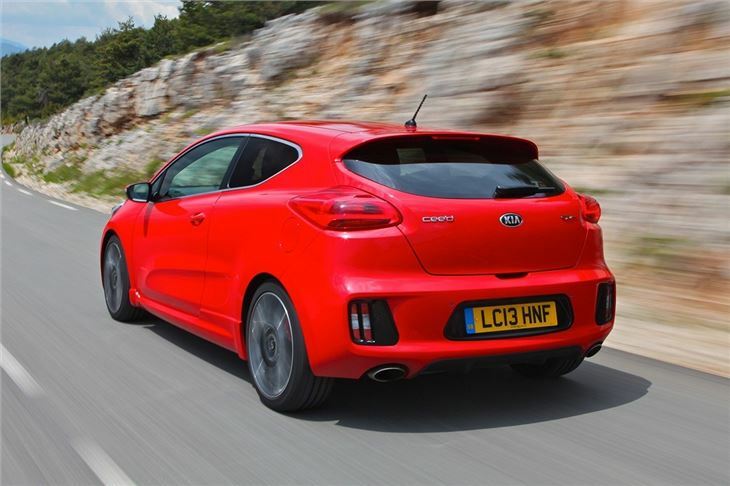 Thankfully, once you’ve settled to a more sedate pace the Pro_Cee'd GT is easier to live with than a more thoroughbred performance hatchback. 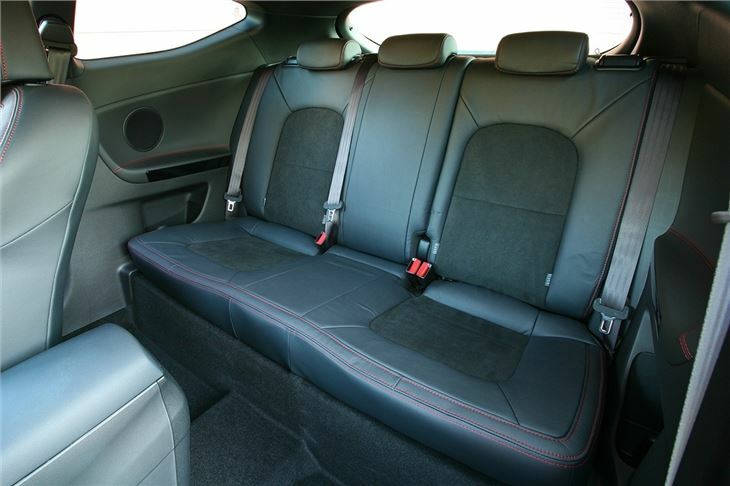 It’s quiet, with well suppressed engine and road noise, plus it is comfortable thanks to supportive suede and leather Recaro sports seats and a relaxed driving position, with plenty of adjustment. 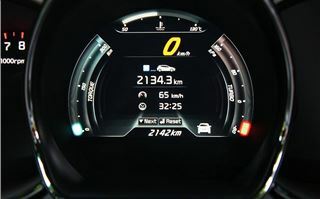 The focal point in the cabin is a clear LCD instrument display unique to the GT, which includes a speedo, torque meter and boost gauge. The rest of the dashboard is nicely sculpted and the centre stack is clear and easy to understand, with simple controls. 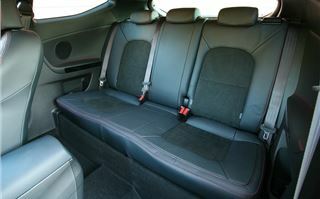 There are useful storage areas too, including cup holders and a big box between the seats. 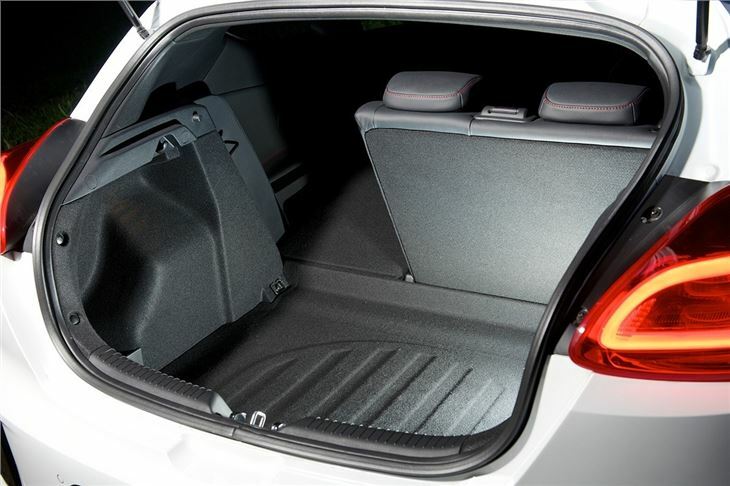 The Pro_Cee'd is a three-door model, so access to the back seats isn’t great, but if you can squeeze past the front seats you will find two Isofix mounting points for child seats. 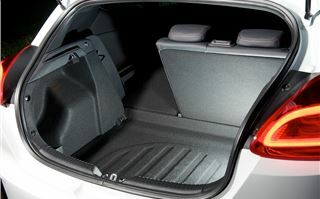 The boot has a nice wide opening and a decent capacity of 362 litres, so the car is more than at home on a weekly shopping run, or you can expand capacity to 1225 litres by folding the seats forward. 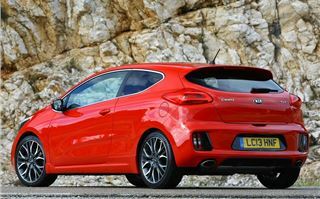 On the downside, running costs are fairly high - official economy for the 1.6-litre engine is 38.2mpg and emissions are 171g/km. In comparison, the 280PS SEAT Leon Cupra will return 42.8mpg and 154g/km, with substantially more performance. 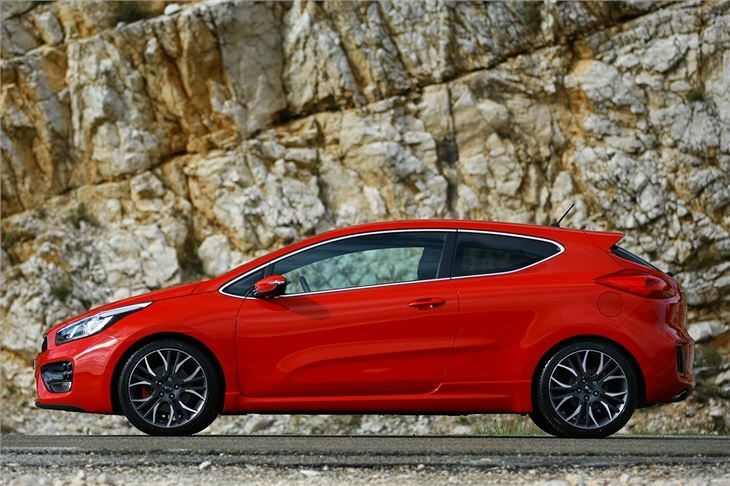 On the plus side, all variants of the Pro_Cee'd GT come with a good level of standard equipment, although it is worth spending a bit more for GT Tech trim, which includes touchscreen navigation, dual-zone climate control, heated seats, a heated steering wheel and a reversing camera. 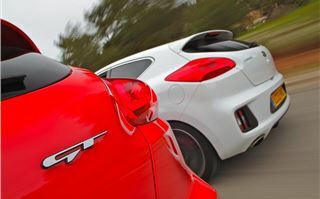 To get that level of equipment in a rival car like a Ford Focus ST or Volkswagen Golf GTI you would need to spend significant money. 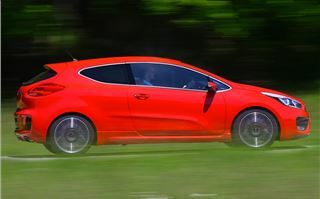 Admittedly more or less every rival offers better driving dynamics and superior performance, but, for many drivers, dynamic sparkle plays second fiddle to value-for-money - and it's here where the appeal of the Pro_Cee'd GT really lies. 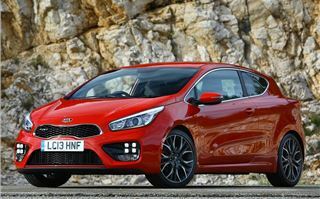 For that Kia should be applauded - they have managed to make their sportiest offering still very much a value-for-money car. Sure, you're not going to beat the establishment on a track day, or even away from a set of traffic lights. 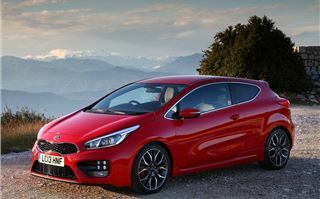 But out on the road the Pro_Cee'd is quick enough to bring a smile to your face, both because you're having fun and because you know you got a cracking deal.